Exactly one month after I started to date Angelle, my wife and the love of my life, I asked her "If you could go anywhere in the world where would you go?". After some kidding around Angelle answered that she would like to go to the Orkney Islands in Scotland. Well, my name being Kirk McDougall means that I have a wee bit of Scottish heritage so I said "You make the arrangements and we will use my Air Canada frequent flyer points". Angelle immediately went to her Mother and asked "What do I do? I just met this guy and he wants to take me to Europe". Her Mother gave Angelle some sage advice that she will always remember. "If you don't go, I will". With that idea in her head Angelle decided to come to Europe with me. 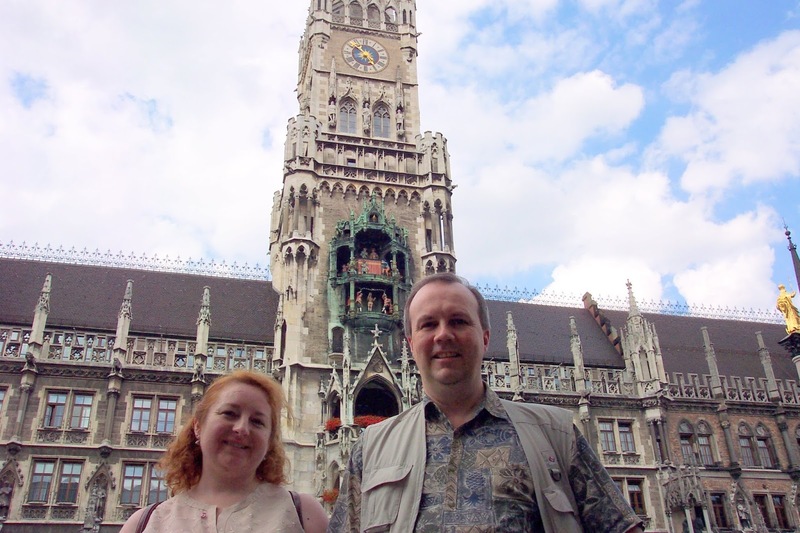 We only had 10 days until we left so all that was available for Angelle to book was a trip to Munich. We also had no choice but to go first class as those were the only seats left. It was tough but we soldiered through. There were a few other details we had to contend with. Angelle had to get a passport for example. We managed to get it all done and 10 days later we were on our way. The first leg of the flight took us to Denver Colorado where we had to spend the evening. We rented a car and drove to the Casa Bonita for dinner. I had dined at the Casa Bonita restaurant when I visited Denver on business 22 years previously. We took a carriage ride around Lodo and then slept in the car by the rental agency since our flight left so early in the morning. Our first class seats were amazing little pods that had all sorts of adjustments making them virtual beds as well as seats. The airline took such good care of us. 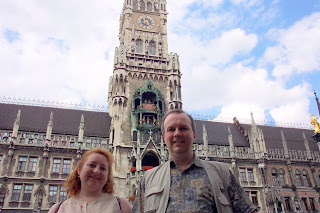 We arrived well rested after our sleep on the plane and spent a wonderful day in Munich. We bought Eurail passes and in the evening we took the night train to Venice so on the first three days of our trip we slept in an automobile, a plane, and a train. This is such a cute story! Lovely and made me smile! Thank you. My first comment. What an awesome story. Sometimes you just need to say life is short and go! Thanks for the comment. We had an awesome time and have been married 11 years.